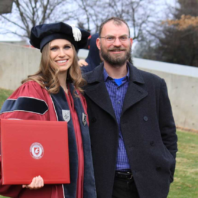 Jennifer Binczewski received her doctoral degree in December 2017 after successfully defending her dissertation, Solitary Sparrows: Widowhood and the Catholic Community in Post-Reformation England, 1580–1630, in November. Jennifer received several awards during her time at WSU. 2014 David Rogers Research Award from the Catholic Record Society. 2017 Carl S. Meyer Prize from the Sixteenth Century Society & Conference. She just welcomed her second daughter on April 6, so her immediate future plan is to enjoy motherhood with two wonderful girls. In addition, in November, she will present in a panel she organized for the Sixteenth Century Society Conference in New Mexico. She also is currently working on a journal article manuscript that examines international networks facilitated by Catholic widows’ households in England. Ryan Booth, a PhD student working under the guidance of Professor Peter Boag, has spent the 2017-18 academic year presenting his scholarly research, applying for and receiving fellowship awards, and preparing to attend a summer institution in Walla Walla, Washington. In October, Booth was invited to speak at the Gonzaga University event, “They Are Always at the Front: Native American Soldiers in the Great War.” A busy and very successful spring semester followed! 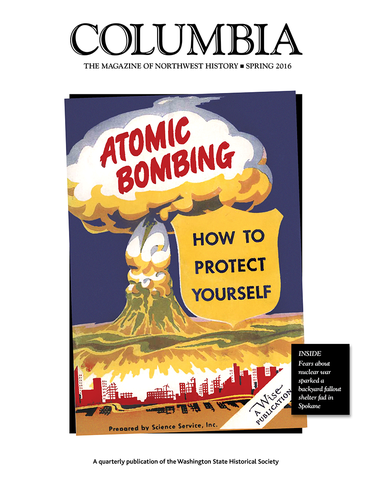 Spring welcomed a published book review in H-Net, as well as his selection to receive the James H. Bradley Fellowship from the Montana historical Society. 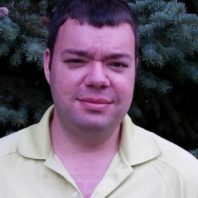 He also was awarded a Russel F. Weigley Graduate Student Travel Grant for his research in military history. 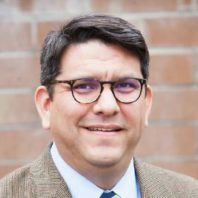 This summer Ryan and Professor Katy Fry will attend a two-week institute, “The Native American West: A Case Study of the Columbia Plateau” at Whitman College in Walla Walla. Taylor Hermsen is a PhD student studying with Professor Jeff Sanders. Hermsen’s research focuses on the development of the Washington wine industry, particularly in eastern Washington, over the last 80 years. The above excerpt comes straight from the WSU Insider article that was published to the Cougs Life, “Food and Agriculture” section this March. Article author, Will Ferguson, truly captured Hermsen’s passion for the topic and included the mention of Hermsen’s Boeing Graduate Fellowship in Environmental Studies, quoted below. 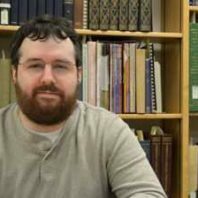 Karl Krotke-Crandall applied for the Stephen F. Cohen-Robert C. Tucker Dissertation Research Fellowship in the fall of 2017 and his dissertation, “The Holocaust in Russian Life: New Perspectives on Soviet Jewish Memory,” was chosen to receive this very prestigious award sponsored by the Association for Slavic, East European, and Eurasian Studies. The Cohen-Tucker Fellowship sponsors U.S. students to travel abroad to Russia to participate in one year’s worth of doctoral research during the final stages of their doctoral program. This fellowship, established in 2015, offers up to $22,000 of support for Karl as he wraps up his research in the months ahead. Learn more about the Stephen F. Cohen-Robert C. Tucker Dissertation Research Fellowship and the Association for Slavic, East European, and Eurasian Studies here! 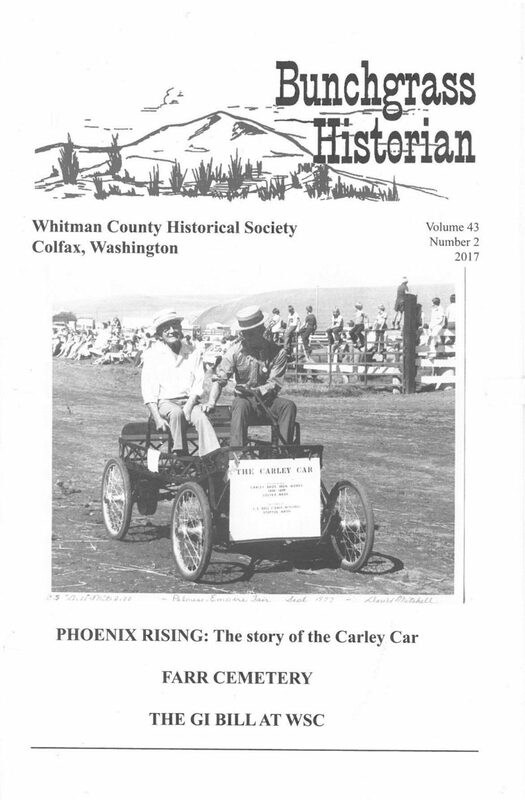 Was published as “Roosevelt’s Grand Experiment: The Civilian Conservation Corps in the Northwest,” Columbia: The Magazine of Northwest History, Vol 30, no 3. (2016): 13-20. The article is also hosted in full on the department website here! Although this work was completed as an undergraduate student, John Tappan Menard is now pursuing his MA degree in History. Claire Thornton’s paper The GI’s of Washington State College originated in a History 300 class in 2014. She turned it into an Honors Thesis project The GI Bill at WSC: An Understanding Through Oral Histories (faculty mentor Dr. Lydia Gerber). It was published last August as “The GI Bill at WSC” in the Bunchgrass Historian, Volume 43, Number 2, 2017, 14-27. Claire is currently finishing an MA in Education here at WSU with a period of student teaching at Clarkston Highschool.